Visit Philadelphia has released a free app that adds emojis — actually, just cartoons you can paste into text messages — to your phone. By Dan McQuade·	 1/13/2016, 3:21 p.m.
About a year and a half ago, we wrote a wish list for Philadelphia-specific emojis. And, well, our prayers have finally been answered: Today, Visit Philadelphia rolled out a “Philadelphia Keyboard” app for iOS and Android that brings little Philly pictograms to your phone. 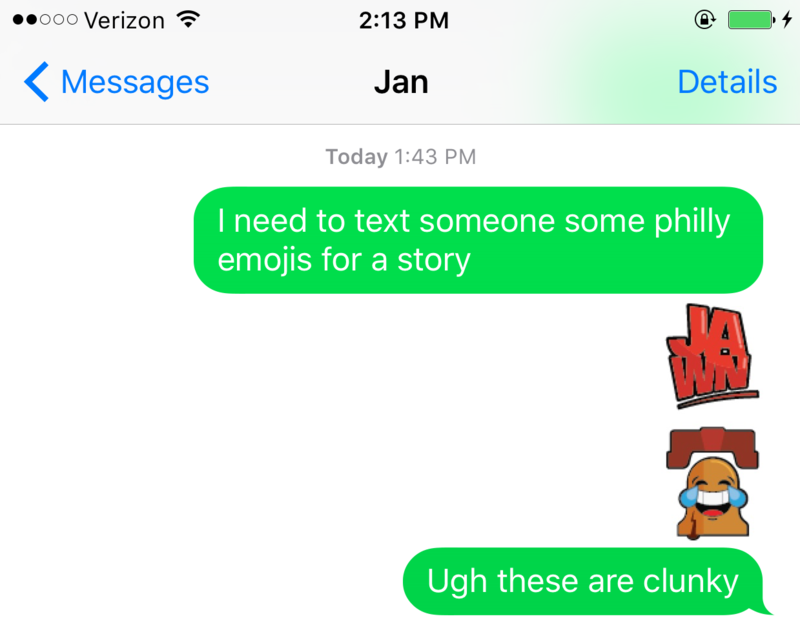 Unfortunately, the Philly emojis aren’t really emojis. Much like the Popemojis from last year, Visit Philly’s emojis are just little cartoons that can be pasted into any messaging app that allows you to embed pictures. So you can’t use them in tweets or in Instagram comments. But you can use them in Mail, iMessage, Facebook Messenger, Kik, WhatsApp, Tango, etc. When you install the app, at least on iOS, you’re directed to add the “Philadelphia Keyboard” in settings. When you select the keyboard, a list of Philly emojis shows up. Clicking one copies the emoji; you can then paste it in any supported text box. Here’s an example. So, yeah, it’s a little clunky, but it’s not Visit Philly’s fault: That’s how third-party emoji apps work. 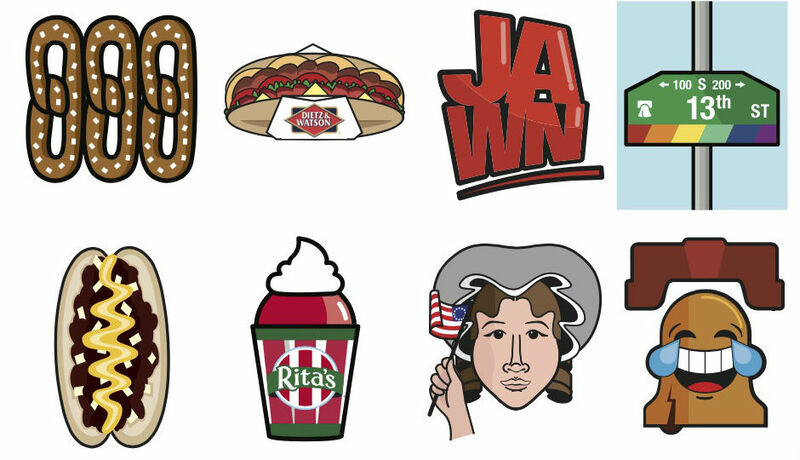 The emoji set is pretty much what you’d expect: Soft pretzel, cheesesteak, Rocky, the Rocky/Art Museum steps, Ben Franklin, Betsy Ross, City Hall, street signs, the Chinatown Friendship Gate, the Ben Franklin Bridge, the “With love XOXO” thing, a glass of beer, the words “yo” and “jawn” and a kite-and-key. 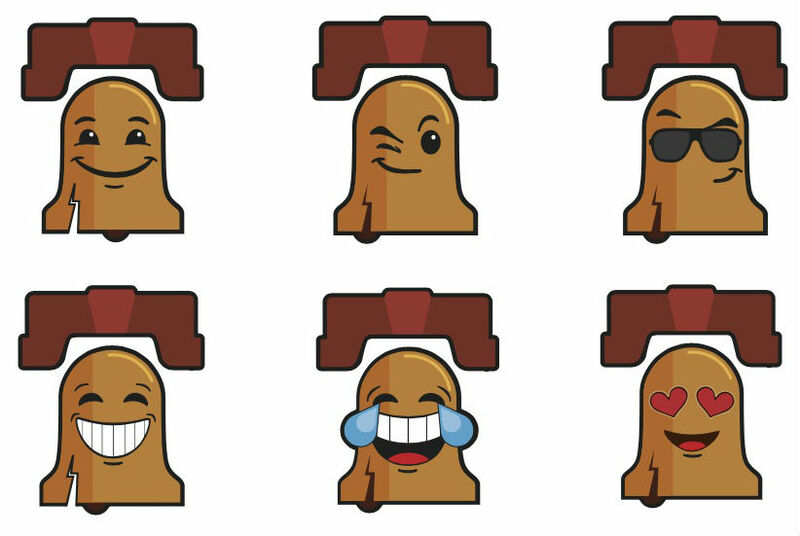 The Liberty Bell emojis are probably the most clever. So you’ll have to wait before you can send your friend a Wawa goose. In the meantime, you can annoy them by sending “JAWN” over and over and over now. Thanks, Visit Philadelphia!